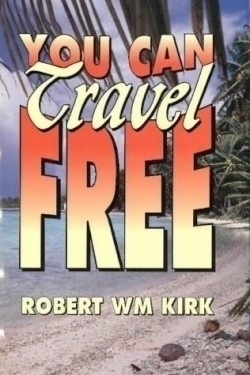 You Can Travel Free is a comprehensive manual. It might sound outlandish and humorous, but skeptics beware—you really can travel for free and if any traveling techniques or tips even attempt to exist, they are most likely listed in this book. Kirk originally published the first addition in 1985. Due largely in part to the development of the Internet, he has updated the material to include the essential emails and Web sites, plus seven new chapters on travel strategies. Kirk, a retired teacher, claims his fame by the 470,000 miles he has traveled across the globe, all free of charge. He also openly identifies himself as a cheapskate and this should serve as fair warning: this book caters almost exclusively to the frugal-minded. The core ideas presented here are good ones, and Kirk’s thorough documentation provides all the appropriate information. Chapters cover topics such as home-swapping, free sea cruises, volunteer excursions and available scholarships and grants, just to list a few. This book is an ideal point of reference if traveling inexpensively is a priority, but the length of the text is a hindrance. Kirk suggests creative methods of travel and then proceeds to describe antidote after antidote of friends X, Y, and Z who have used this method successfully. The 480 pages could easily be trimmed to one-third its volume. As Kirk observes, “Free travelers need to give something of themselves time, patience, expertise, interest.” Qualities which the reader of this text should possess as well.